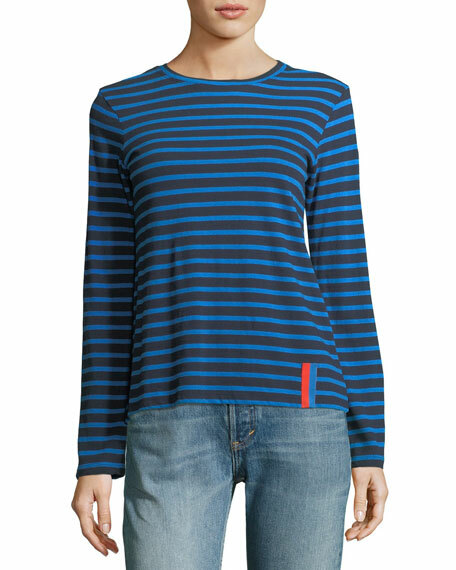 Kule striped shirt in lightweight cotton jersey. Signature elastic taping at hem. Nikki Kule has always been driven by a love of iconic American style and a modern, quirky aesthetic. After attending Parsons School of Design in Paris and New York, Nikki spent the first years of her career in Italy. There, she enriched her classic American style with a bold, colorful European aesthetic--an influence that remains to this day in her personal style and design. 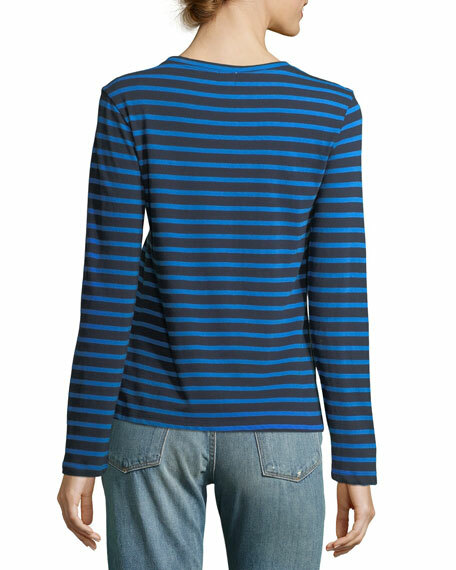 Now, Nikki has entered a new phase of her brand, KULE, with a branded stripes collection for men and women. The result is a specialized line that represents the essence of her American design philosophy with a touch of Francophile whimsy. For in-store inquiries, use sku #2311802.